The first thing to note is that you can only assign a PIP to a VM that is deployed inside a virtual network. In other words: VMs in ‘stand-alone’ cloud services cannot have a PIP (at least today). Additionally the VNet has to be a ‘wide’ VNet. That’s sort of the next generation of virtual networks in Azure that are not restricted to single affinity groups, but rather span across an Azure region (e.g. West Europe). This new concept allows deployment of way more VMs into a network than with the original approach, where an affinity group is restricted to a single cluster in the datacenter. Export your current network configuration via the ‘Export’ button in the management portal. This will let you download an XML file. Note, that instead of an affinity group you will have to specify the region via the location attribute! If you do so you will get a wide VNet. Now import the configuration in the portal via New – Network Services – Virtual Network – Import Configuration, selecting your updated XML file. Now you can deploy your VM into the VNet you have just created. Go ahead and do that with your favorite deployment approach (Portal, PowerShell, CLI, etc.). Just for fun create the VM without any endpoints, as we will access the machine via RDP using the PIP we are going to create in a moment. As you can see, this IP is different from the VIP we have seen above. The VIP was 23.100.1.0, whereas the PIP is now 23.100.1.1. 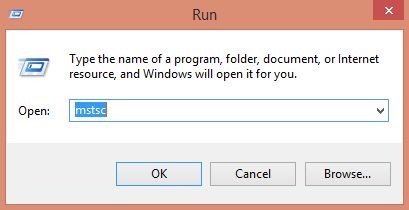 So, go ahead and open your RDP client (if you’re on Windows type mstsc in the Windows-Run console. And that’s it! 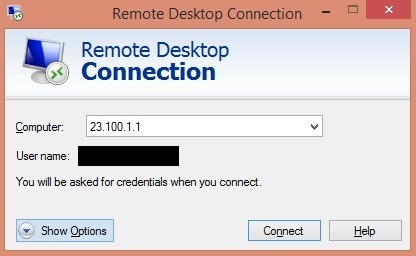 You should be able to remote desktop into your VM via the PIP without having any ports open on the VIP of the cloud service. Note, that when you will execute an ipconfig within the VM you will not see the PIP, as it is managed by the hypervisor hosting your VM. 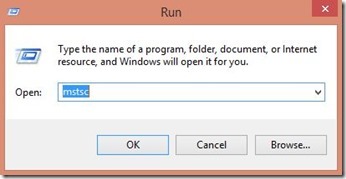 Shutdown the VM in the portal (don’t do it in the RDP session). This will deprovision the machine, i.e. release the cloud service deployment and you will stop to pay for compute time. The Status column in the Dashboard section of the portal should show Stopped (Deallocated). Then start the VM again and wait for it to come up. Repeat the Get-AzureRole PowerShell statement shown above in order to find out if we still have a PIP. As you can see, the VM remembered that it was assigned a PIP and created a new one (in my case 23.100.1.5). Although it is currently not possible to reserve a fixed PIP address (as you can now do with VIP addresses as announced at TechEd), the VM keeps it’s configuration which is quite cool. At the time of writing, PIPs are in public preview (no registration required, though) and free of charge. As you’ve seen above, there is no integration into the management portal yet and also some prerequisites you have to be aware of. Today, you can assign one PIP per virtual machine, and there’s a maximum of two PIPs per Azure subscription. This entry was posted in Microsoft Azure, Virtual Networks and tagged Azure, IaaS, Microsoft Azure, PIP, Virtual Network. Hi, could you tell me how to resolve ‘old-style’ VNet issue, because I can’t use this feature on my existed VMs. Unfortunately, you will have to create a new VNet with the location setting and move your VMs over. And how can i open/forward ports now ?? I’ve created a virtual network, created a vm assigned to that virtual network but for some reason assigning a PIP is not working. It keeps throwing an error on the first command saying there is no deployment in service for the vm service. Any ideas?